Republican congressional hopefuls Terry Baker, Amie Hoeber and David Vogt made their final pitches to Republican voters in Maryland’s 6th Congressional District last evening, April 13, on A Miner Detail, hosted by Eric Beasley and Ryan Miner. 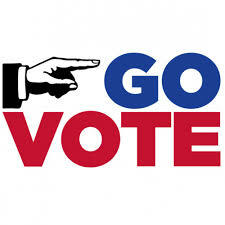 Early voting begins today and extends until Thursday, April 21. For a full list of early voting locations in Maryland’s 6th Congressional District, please click here. Maryland’s primary will be held on Tuesday, April 26.